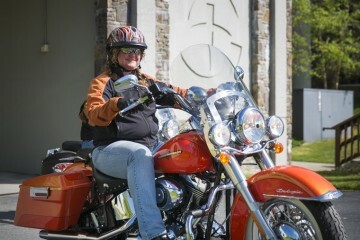 More than 180 riders on over 130 motorcycles participated in the fourth annual High Country Warrior Ride on May 16. 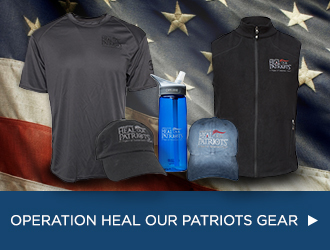 This year’s event raised about $20,000 to support Operation Heal Our Patriots, the Samaritan’s Purse project that provides marriage enrichment opportunities and spiritual care to military couples with a spouse wounded in combat after 9/11. The ride, which starts from Samaritan’s Purse International Headquarters in Boone, North Carolina, has attracted increasing numbers of participants each year. Organizer Mark Speir, head coach of Western Carolina University’s football team, is thankful for the expanding support. “This thing has grown and the good Lord’s blessed it,” he said. Western Carolina University football coach and ride organizer Mark Speir thanked the participants for supporting Operation Heal Our Patriots. Speir praised the Operation Heal Our Patriots program, citing both the special week couples enjoy in Port Alsworth, Alaska, along with the year-round follow-up provided to them by our staff. 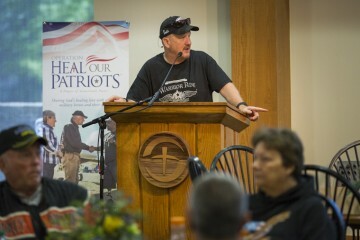 Retired Marine Brigadier General Jim Walker, executive director of Operation Heal Our Patriots, rode his motorcycle in the event. He noted that the large turnout is an encouragement to couples in the program. Luther Harrison, vice president of North American Ministries for Samaritan’s Purse, prayed for the riders before they left on their journey. Many hands were raised when he asked how many participants were veterans of the U.S. military. They received a standing ovation from all riders. 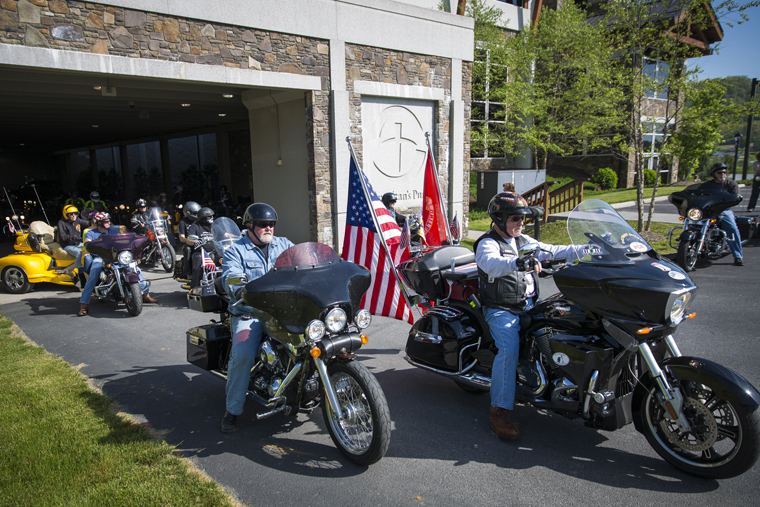 The motorcycle riders depart from Samaritan’s Purse headquarters in Boone, NC. Tim Weeks, a resident of Ohatchee, Alabama, has come up for the Warrior Ride each year. Weeks is a 15-year veteran of the Air Force National Guard and a six-year veteran of the Army National Guard. He volunteered with Samaritan’s Purse in disaster relief efforts following Hurricane Sandy and a recent ice storm in eastern Tennessee and has served multiple times on our projects in Alaska. More than 180 riders took part. Riders had a blue-sky perfect Appalachian morning to travel 80 miles from Boone over the Blue Ridge Parkway to Wilkesboro and back again. The event ended with a barbecue lunch at our international headquarters. 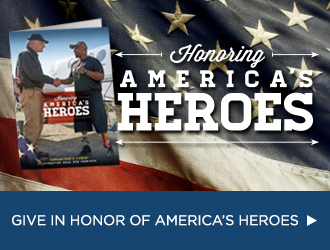 Nearly 370 couples have participated in Operation Heal Our Patriots since the program’s inception in 2012. More than 130 couples have rededicated their marriages under Jesus Christ and over 110 individuals have received Him as Lord and Savior. Please pray for this summer’s activities as another 160 couples are scheduled to travel to Alaska for marriage enrichment. The 2015 season begins May 31.